I think I want to marry these pancakes. Or at least, I wouldn't complain if they were waiting for me each and every morning, in all of their pillowy glory. I would be willing to make that commitment. Especially because they're extremely versatile. I've made them several ways, just as Mollie Katzen suggests in her Sunlight Café. First, try them just plain with only the addition of a bit of vanilla. This way, they're happy to soak up pools of real Vermont maple syrup, which you should seek out over the pretend, carmel-colored stuff. Otherwise, you might add sautéed veggies like a bit of red (or green, or orange!) bell pepper, fresh (or frozen) corn kernels, minced scallion and even jalapeño, depending on how you like to start your day. If it's summer where you live, you should consider adding fruit: blueberries, blackberries, raspberries... The possibilities are endless, which in my book, makes for a very happy and healthy long-term relationship. In a medium bowl, whisk together the dry ingredients. Beat the eggs into the buttermilk and then beat in the vanilla. Pour the buttermilk mixture, along with the melted butter, into the dry ingredients. Fold the mixture to combine with a rubber spatula so that all the dry ingredients are moistened. Do not overmix. Heat a skillet over medium for a few minutes, then spray with nonstick cooking spray. Using a 1/4 cup measure with a handle, ladle the batter onto the skillet. Cook the pancakes for around 3 minutes on the first side, 2 minutes on the second. They should be uniformly golden brown. You'll know when to flip when you start to see bubbles on the surface of the uncooked side. Serve with your preferred toppings. * For a savory version: omit the sugar, vanilla and melted butter. Sauté 1/4 cup bell pepper, 2 cups of corn kernals, 1/4 cup minced scallion and up to 1/4 cup minced jalapeño. Sauté in olive oil for 10 minutes, then add to the batter along with the buttermilk mixture. * If you use frozen corn, defrost them before sautéing. * Don't think for a moment that you have to reserve your maple syrup only for the plain pancakes. 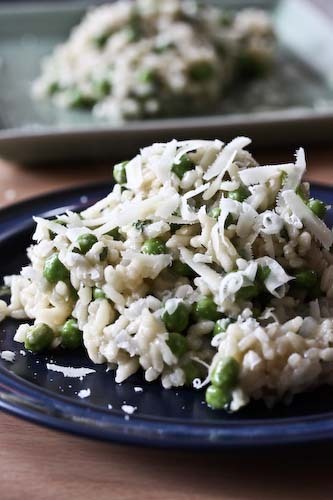 You'd be surprised how tasty it is slathered on hot and savory cakes as well! Thank you so much for all of the lovely comments you continuously leave on my blog. I feel the exact same way about your site, everything always looks so tasty, and photographs so well. I would have never even thought to try all of these mix-ins for pancakes, I can't wait to cook some. Thanks! These look fantastic!! I'm wishing I had 1 more day in the weekend to make these tomorrow. Yummy, those little juicy corn kernels... mmmm... now for some bacon to go on top! Savory pancakes sound so good! 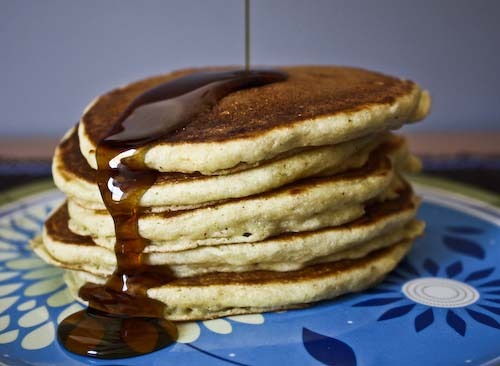 I love cornmeal in pancakes, it adds such a nice texture. these look so delicious and fluffy. 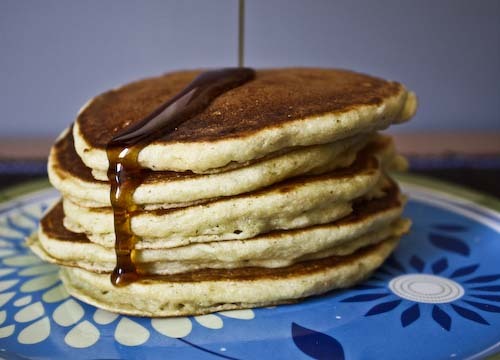 I usually love pancakes with nutella and peanut butter but I would also try a savoury version of these with sautéed mushrooms and some cream cheese yummy :) thanks for sharing. Savory pancakes are so underrated! 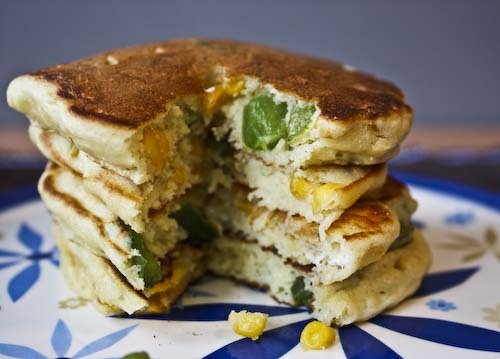 Jalapeno and corn in a pancake with maple syrup - YUM! Going on the menu for Sunday Brunch next week. Adding corn is a great idea, I never would have thought of that! Beautiful! I'll be happy if they're around when I wake up too. Extremely happy! Bensbaby, I'm a lucky grad students whose had almost a full month of nothing but weekends, but it's coming to an end now. Sara, cornmeal does really add texture to baked goods. I love it, too! Esi, I never see blue cornmeal, but I bet that would be awesome! Snooky, those are great ideas! I have a total sweet tooth, so Nutella and peanut butter I would go for, but mushrooms sound wonderful, too. Gastroanthropologist, totally. Maple syrup is just as good on savory breakfast foods as on sweet. Hi :) Great blog you have here. I was just wondering..can you get cornmeal in Norway?